...and only one syndicated show remains at 93.5 The Beat Los Angeles. I bet you can't guess. Meanwhile the station has completely changed it's music from an Urban/AC to a decidely Urban/Hip-Hop flow. Last year the Magic Broadcasting, Inc. station boasted a "superstar" radio line-up with all syndicated programming. 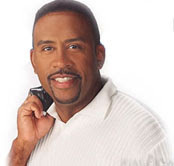 The hosts were Steve Harvey, Wendy Williams, Mo'Nique, Michael Baisden, local host and radio vet/ program director Theo (who's "Theo After Dark" was syndicated to other stations), Michael Baisden, and the Keith Sweat Hotel each and everyday. Sounds crazy to have no local host doesn't it? A couple of months ago KDAY dropped the Steve Harvey Morning Show and just this week it was picked back up in the Los Angeles area by 102.3 KJLH. I don't think it's crazy at all that their could be a station without local programming, urban radio listener's are subject to many times more syndicated shows when they turn on their radio than there white counterpart, it's just all part of the corporate radio culture. Thank God! KDAY has been garbage since it let go of all the local talent and went with the all syndicated line-up. LA is the largest major market without a true Urban Contemporary station and it's a shame. They need to get back to basics and bring on some good local talent for mornings through evening. It should be a station like the old KKBT (before Radio One cursed the station), where everybody listens to plays the hits and is hot in the streets. Theo might want to take a note from his old station KMEL and look at what they are doing right in their market and apply it in LA on 93.5 KDAY. 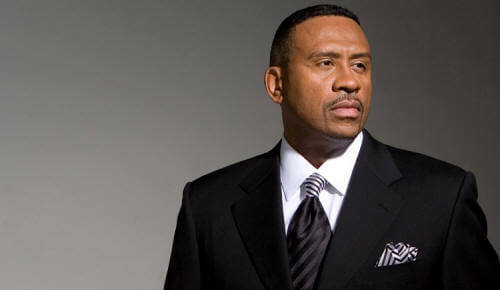 I guess they dropped Niele and their gospel programming, leaving KJLH the only outlet doing gospel music.